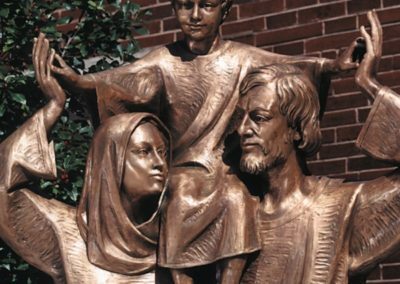 The parish of the Holy Family Catholic Church in Whitefish Bay, Wisconsin wanted a special art piece that would both symbolize and identify their namesake, as well as create a focal point for the church entrance. 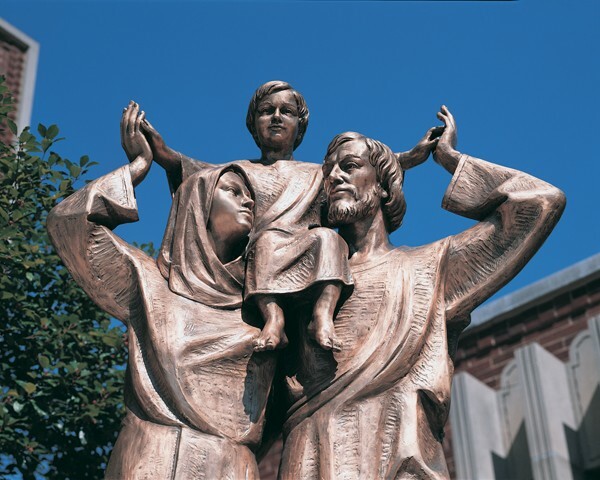 The concept of the Holy Family pictured together was developed by Bernard O. Gruenke, Sr. in the 1940s. 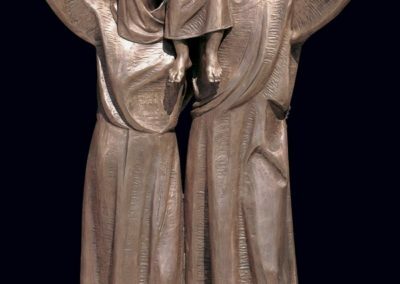 This was done in response to an absence of the members of the Holy Family depicted as a family unit. 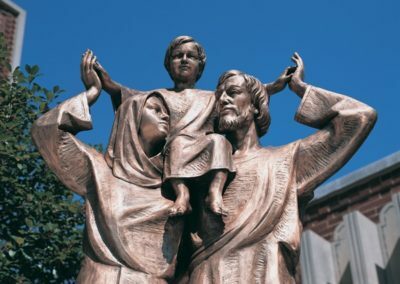 Traditionally, statues of Mary and Joseph were placed on opposite sides of the sanctuary. 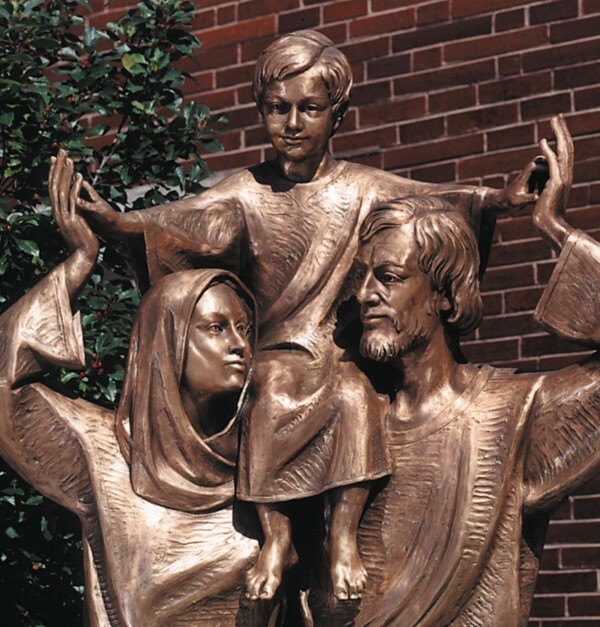 Approximately life-sized, this Holy Family statue was fabricated of bronze and touchingly portrays a young Jesus seated upon the shoulders of Mary and Joseph, a model for the contemporary family. 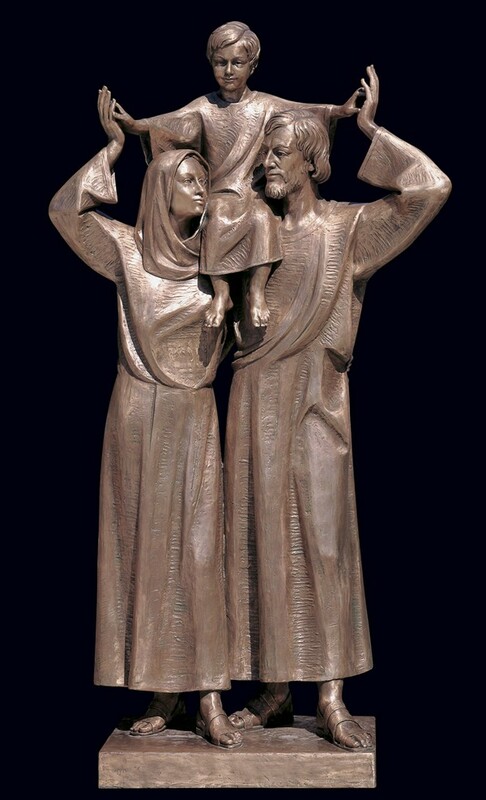 The Holy Family statue can also be produced as a wall-mounted piece.